← There Are Slow News Days And Bizarre News Days. This Was One Of The Latter. On Wednesday, the FDA announced yet another voluntary recall of eggs produced by Wright County Egg in Galt, Iowa. The first announcement on August 13 covered 228 million eggs. This one adds 152 million for a grand total of 380 million—so far. Okay, so where are we on safety regulation? The FDA, after many, many years of trying, finally introduced safety regulations for shell eggs. These supposedly went into effect on July 9. I recount the history of FDA’s persistence in the chapter entitled “Eggs and the Salmonella problem” in What to Eat. Check out the table listing the key events in this history from 1980 to 2005. It’s not pretty. Preventing Salmonella should not be difficult. The rules require producers to take precautions to prevent transmission, control pests and rodents, test for Salmonella, clean and disinfect poultry houses that test positive, divert eggs from positive-testing flocks, refrigerate the eggs right away, and keep records. These sound reasonable to me, but I care about not making people sick. Problems with Wright County Eggs started in May before the FDA’s mandatory rules went into effect, meaning that the procedures were still voluntary. The recalls this month are after the fact. Chances are that most of the recalled eggs have already been eaten. More egg brands were recalled Friday, bringing the total number recalled due to salmonella concerns to more than half a billion eggs. Hillandale Farms of Iowa is the latest producer to recall its eggs — more than 170 million that were distributed to 14 states, according to a press release from the company. The were sold under the names Hillandale Farms, Sunny Farms and Sunny Meadow and were distributed in Arkansas, California, Iowa, Illinois, Indiana, Kansas, Minnesota, Missouri, Nebraska, North Dakota, Ohio, South Dakota, Texas and Wisconsin. Only those with plant number P1860 and date codes ranging from 099 to 230, or plant number P1663 and date codes ranging from 137 to 230 are affected. 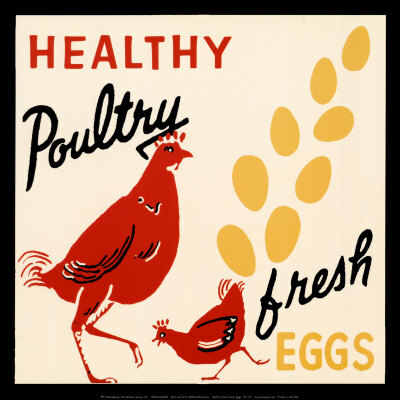 The eggs were sold under the following litany of brand names: Lucerne, Mountain Dairy, Sunshine, Hillandale, Trafficanda, Albertson, Farm Fresh, Shoreland, James Farms, Glenview, Mountain Dairy, Ralph’s, Boomsma’s, Lund, Dutch Farms, Kemps, and Pacific Coast. Some eggs recalled were shipped as recently as two days ago, in the early stages of the outbreak. According to the CDC, you can tell the safety of your eggs by looking at the plant code and date stamped on the label or carton. The dates range from 136-229, and the plant numbers are 1026, 1413, 1942, and 1946. At least, those are the current ones. Remember the old days, when eggs were only bad for your long-term health and not instantly dangerous? And when giant eggs were cool oddities, not death-spheres full of double-yolked poison? What is the danger if I eat contaminated eggs? This question will come from the daring and the stubborn ones. The ones who challenge the facts and want to know – what’s so bad about eating the eggs? Just throw this word at them – salmonella. I’m pretty sure they’ve heard it before, when handling raw chicken or raw eggs. It’s always a possibility, and is the most common bacterial form of food poisoning. In fact, it leads to about 30 deaths in the annual average 142,000 cases a year. Clearly that’s not a high number compared to the population, but it’s a number nonetheless. Salmonella (Kingdom, Bacteria; Class, Gamma Proteobacteria; Order, Enterobacteriales; Family, Enterobacteriaceae; Genus, Salmonella) will make you sick, and many more people get sick each year than get reported. That number goes up considerably when there is a contaminated product like this batch of eggs. If you want to show your kids one of the worst slide shows ever to illustrate a sickness, check out this one over at CBS.com. It deftly illustrates that salmonella will cause stomach cramps, nausea, unfortunate bowel movements and so on. Basically, your abdomen wants to expel the germs as much as possible so it makes your abdomen contract over and over, which causes the cramps and stomach sickness. Basically, there is no way for your child to fake salmonella poisoning to get out of going back to school. If your child is sick, you’ll know it and so will they. If they aren’t old enough to be forced to drink, the emergency room is in your immediate future as you don’t want dehydration to set in. Here’s the rub though, and the smart ones might figure this out: If you cook infected eggs you will kill the bacteria. Cooking eggs to the temperature of 72°Celsius/160°Fahrenheit is all you need to kill the bacteria. Of course, you still run a risk if you under cook the eggs. So really, if you have a two dollar carton of eggs in the fridge you have two choices, cook them anyway and save yourself two bucks, or throw them out. Well, three choices, you can draw targets on the fence and you and the kids can have target practice. Just sayin’. The egg. Because dinosaurs laid eggs. And dinosaurs came before chickens. So there. That’s the easy part: Check out this handy list to see if your carton number is on there. Have the kids do a little number comparison and see if they can find a pattern. Of course, the article gives away the range, but perhaps there is something deeper in the numbers. If you can figure it out, leave it in the comments. Of course, I might just be making it up – but I’m sure you’ll come up with something. You awesome geeks always do. As reported from CBSNews and according to the Mayo Clinic, there are nine types of Salmonella symptoms. We have the full list to give you now, which will help to determine if you have contracted the disease or not. The first symptom is Nausea, as vomiting is one key factor associated with salmonella poisoning. Another factor may be diarrhoea. If you find yourself going to the toilet a lot lately, you may have caught salmonella without knowing it. Other symptoms include abdominal pain and fever. You can check out the full list of salmonella symptoms here. Harkin went on to detail how the egg contamination may have played out differently had the bill’s provisions been in effect. I am a 7th grade teacher in NC and came across your site while researching some information about Salmonella for my health class this year. I just wanted to thank you for the great information and articles about Salmonella.